'The Invasions of England and Ireland with al their Civill Wars since the Conquest'. 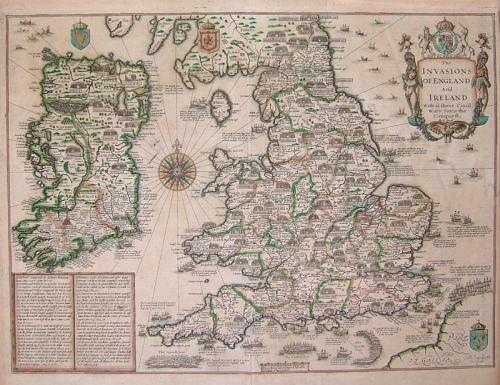 The map is in very good condition with good margins on all sides. There is a light overall toning and a small area of split in the lower centerfold.